The 9th annual AR Canada Conference took place on Monday and Tuesday in Toronto, and our President, Duncan Cochrane had the honour of speaking for the second year in a row. The AR Canada conference is presented by ADESA, CARPROOF and Cox Automotive Canada, and is designed to bring members of the used-car industry together to discuss current opportunities and challenges faced by industry members. This year, there were over 600 used-car industry professionals and 18 different workshops. There were many ideas and insights shared from all aspects of the industry, and it was a great learning opportunity for everyone that attended. If you weren’t able to attend this year, we’ve got you covered. Here are some of the most memorable moments and key takeaways that we observed! Shawn Vording from Carproof spoke about a national survey that they completed which found that 40% of customers trade in a vehicle, and 61% of people that traded in a vehicle thought that their trade in value was too low. Are you educating your customers on how the value of their vehicle is determined? Shawn was also able to backup these statistics by doing a live poll with the audience. over 21 million Canadians have Facebook and 16 million of those users are on Facebook every day. So not only does Facebook give you the ability to create large, creative ads, but also gives you a reach of over 16 million people. This is a huge opportunity that dealers can and should utilize. Duncan spoke about Iteration and Personalization. He discussed why it’s important and how dealerships can incorporate it into their websites. Dealerships are now selling to a generation of customers that expects their buying experience to be personalized to them, and Strathcom Media has the tools to help sell to this new customer base. We had a great time at AR Canada again this year, and we look forward to seeing everyone again at AR Canada 2017! Using Everyone's Favourite Website to Get Your Dealership Noticed and Sell Cars! Ever wonder how to reach both new and existing customers through one website? A few years ago this might not have been possible. However, today, advertisers can reach their customer base all in one place—Facebook. People spend more time on Facebook consuming content than on any other website. Mark Zuckerberg’s social media networking site has built the largest, most highly-engaged audience on earth. For advertisers in competitive industries, it is mandatory to reach your customers in the way in which they wish to be communicated with. This is especially true for the automotive industry. Typically it has been one of the most competitive and difficult industries in which to reach consumers. And this is exactly where Facebook shines: Facebook advertising is a very cost effective way to reach a qualified audience of car buyers. Car dealers can reap all of their advertising benefits, like driving in-store sales, increasing traffic to their website, and building brand awareness. And you can do it all for less than it costs to market your dealership through other websites! 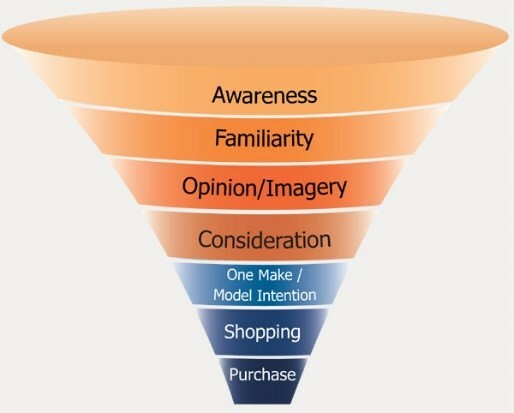 So you know your customers are on Facebook, but what is the most effective way to reach them? Through Facebook’s “Custom Audience” tool, you can retarget previous customers with Facebook ads, exposing them to your marketing materials long after they have last visited your site. The Custom Audience tool lets you upload a list of customer names and email addresses and Facebook will locate those users to target. These lists can be pulled directly from your DMS system. The beauty of advertising on Facebook is that users naturally flock there to consume content. So as long as your ad is of interest to them, consumers will pay close attention to your brand and message. Retargeting existing customers on Facebook is a great way to ensure that your ads stand out, as these customers are already familiar with your brand. Additionally, for any new customers you are trying to reach, you can target users based on the information in their profiles, like interests and demographics, as well as contextually, by the content they provide in their statuses and comments. Newsfeed ads are designed to blend into the user’s natural, social experience on Facebook, so ads do not appear like normal ads, quickly disregarded in the top or side margins. Keep this in mind: Most online advertising reaches only 38% of its intended audience, while Facebook’s average intended reach is 89%. Facebook Advertising is the key to gaining reach and frequency in a digital ecosystem of thousands and thousands of car ads, and Strathcom is here to help your dealership stand out! If you want to power up your next marketing engine with Facebook ads, contact our Pay-per-Click team at Strathcom Media right away. It’s the difference between having an ad, and having your ad seen. 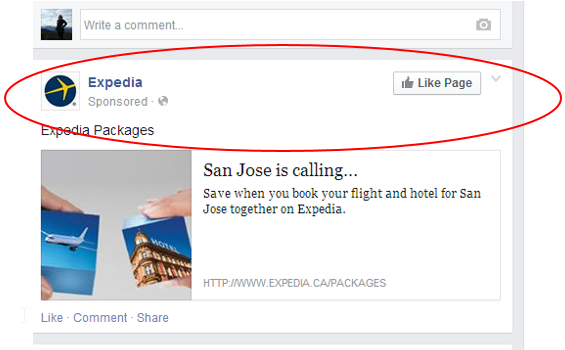 Advertising on Facebook is remarkably easy. Setting up a business page is as simple as setting up a personal profile page. Just like with Google+, there’s no reason why a car dealership shouldn’t have a Facebook business page. It’s completely free self-promotion. In the face of Facebook’s recent announcement that marketers will need to start paying if they want to reach a larger audience (and that organic reach will be dropping off), now is the time to ask whether your car dealership should be investing in paid advertising through Facebook. It’s hugely important for people to recognize your car dealership’s brand. Keeping your customers loyal to the brand and getting return business are two huge benefits of interactions through Facebook. Anybody can post feedback or comments on a business’s Facebook page. While positive comments are great, even a negative comment can be turned around depending on how your dealership responds and addresses issues. The ultimate goal of a Facebook account is to increase interest and get bodies through the dealership door. Advertising promotions and announcing the arrival of new models to targeted areas will do just that. A customer buys a new car, loves it and praises it on your Facebook page. Everyone wins! Announcing upcoming specials through Facebook ads reaches audiences faster than through other methods like print or radio – and anyone at your dealership can do it! Back in May 2012, GM decided to stop advertising on Facebook, claiming that paid ads were having little impact on car purchases. They kept their Facebook pages active (which cost nothing), but pulled all of their pay-per-click ads. It was a highly publicized case that cast doubt on the benefits of paid Facebook advertising. In April 2013, in a comeback of sorts, GM decided to reignite their Facebook PPC strategy with more targeted ads promoting their new Chevrolet Sonic with a focus on mobile marketing. What’s the point of all this? Well, in the end it’s up to you to decide whether the benefits outweigh the risks of Facebook advertising. However, you need to consider getting your name out in social media, because your competitors are likely doing the same thing. Remember, nobody can ignore Facebook. Not even GM. Facebook 101: Why Do I Need to Be on Facebook Anyway? We get asked all of the time, “Why do I need to be on Facebook anyway?” often followed by “Nobody cares what I had for dinner!” True, what you had for dinner probably falls out of the realm of things your mother even cares about. However, for car dealerships, Facebook does have a number of benefits—and it just so happens to be where your customers are. Google likes it — especially since the new Hummingbird Update,Google has been including the content from your public page in their rankings and, more importantly, its looking for how interactive your fans are (how often they are sharing, commenting and liking your content). The conversation happens whether you are there or not — everyone has questions, and Social Media is the new “word of mouth” referral. Potential customers ask each other for opinions and recommendations, and if the question is about where to get their next oil change or what kind of SUV will be optimal to tote little Johnny and his four messy friends around in, you have a unique opportunity to become a part of that conversation or at least monitor what people are saying about your dealership. Social media is everywhere and it’s necessary — if you’re going to dive in, why not start with Facebook? It’s hyper-visual so it lends itself well to car sales. It’s been around since 2004 and has billions of users worldwide, making it the largest platform (meaning more access to different demographics). Most importantly for your brand, Facebook has the highest levels of user engagement. Who should manage my Facebook? Find someone within your company that naturally likes talking to people and who has an affinity for customer service. They can learn the platform relatively easily, but it’s more important that they just like engaging with people. Do a quick search to see if there is already a Facebook Places page related to your business that people are checking in at or liking. If there is one, you can claim it from the Edit Page drop down menu at the top. To create a new page, please visit this link: https://www.facebook.com/pages/create.php and make sure you choose “Local Business or Place.” Dealerships who make the mistake of setting themselves up like a “person” (as you would with a Personal profile), after reaching about 1000 friends, Facebook will notice and reserves the right to cancel your account. Stay tuned for our next social media blog post on how to properly set up your Facebook page and get started with Facebook posts. Need help getting started? Ask Strathcom Media today! Nobody appears to fear this change more than Google itself. They suddenly face a competitor able to index loads of data that they cannot access. Don’t worry Google: Facebook isn’t launching a traditional search engine like Google or Bing. They are launching a social search engine. It’s a social search engine most likely to succeed if compared to Google+, considering its billions of users who are already members of the site as well as the vast amounts of data that users enter into the site every day. Most of us see Facebook as one giant scrapbook, but in reality it’s a huge database full of useful information. Facebook users are familiar with browsing one page of information at a time. With the Open Graph search tool, Facebook users can now search this database for a unique, personable experience. How did the Graph Search get started? Lars Eilstrup Rasmussen who previously worked for Google (and designed Google Maps) joined Facebook’s existing search team. There was a problem to solve: while Facebook was already a repository for loads of information, it was difficult for users to sort through it all. Users had questions like “Who are my friends in Vancouver BC?” and “What TV shows are my friends watching?” but Facebook had no way for users to easily access this data. Wants to show up in search results for un-branded search queries. How is Facebook Graph Search different from Google search? When we use Google, we are searching through web pages. The pages that appear at the top of search results are largely based on the number of incoming links a website gets from other sources – each of which acts like a vote for that webpage/site. The number of quality links (links from authoritative websites) a page has helps Google decide where to place it on Search Engine Result Pages (SERPs). With Facebook Graph search, we aren’t searching for webpages but rather for representations of real-life places, people and products. The way Facebook decides on top results is based on how many “likes” that product, place, or person has. Other connections determine which search results will be relevant for an individual user, instead of using links as a measure of authority as with Google’s case. Facebook also has layers of search and can show demographics for who “likes” certain products or services. For example, you can see if your friends “like” pubs located in Edmonton, AB, other Facebook users who like pubs in Edmonton who actually live in that city, and even see a sub-list of which pubs your married friends, gay friends, or single friends “like.” This could help you choose a pub to suit your needs. Facebook’s Graph Search and a traditional web search are very different. Web search algorithms take a set of keywords (for example: “used Toyota Corolla”) and then show top search results that include those keywords. With Facebook Graph Search you can combine phrases (for example: “my friends in Edmonton who like Toyota”) and search results will include photos or other content that has been shared and liked on Facebook surrounding the specific question. For now, Facebook only includes people, photos, places and interest posts in their results. You can’t just search anything as you would with Google. Future uses could range widely from finding job openings near you, to sorting your friends by city, to finding which of your friends have kids under the age of 3 so you know who to invite to your child’s first birthday party. You can get answers to questions quickly, and don’t have to resort to asking questions in your status. How often have you seen your friends on Facebook posting statuses to ask their friends questions? You can also sort your behaviours on Facebook: typing in “View photos I’ve liked” will divulge a collage of images you have liked from various parties, pets, travels and more. It’s a feel-good experience. How do I make sure my business gets found in Facebook search? It’s not all about who you know, but rather who knows you. If you have the right audience when people search for information from their friends about your industry, Graph Search will connect them. Your “Fans” are your marketing force. With Graph Search, people who “like” your Facebook page and then share your posts and tips will be marketing on your behalf. Facebook has always said to focus on attracting the right fans to your page so you can engage directly with them. Their algorithm will pick business pages with the most “likes” in conjunction with higher user interaction over those with less. Facebook will need to encourage users to start sharing and liking more if they want this search feature to take off properly. I have never “liked” a book I’ve enjoyed, or even a restaurant where I find the food delicious unless there is an incentive for me to do so. Is the Facebook page offering me discounts and coupons, information, tips and user interactions? No? Then I would be less likely to “like” the page. My advice is to continue marketing your Facebook page to the right audience with store contests, incentives and helpful information. If you aren’t focusing on this now, you should make it happen immediately. Appoint this task to a staff member knowledgeable in social media or hire someone who knows the industry to work closely with your Marketing and SEO departments. The name, category, vanity URL and information you share in your “About” section all help people find your business and should be shared on Facebook. If you have a location or a local Places Page, update your address to make sure your listing appears when someone searches for a specific location. Focus on attracting the right fans to your Page and on giving them a reason to interact with your page on an ongoing basis. Will Facebook Graph Search surpass what Google+ attempted to achieve? The Facebook Open Graph search engine will never entirely replace Google Search. Yes, it does create a more personable search experience and will be useful for some search types such as local service searches. But will people start to take two steps when researching online? Will searchers start to use the Graph Search in addition to Google Search to see what their friends “like,” or will that be too many steps to find a local plumber or car dealership? Will Facebook users change their search habits entirely and only use the Facebook Search Graph for local searches? Or perhaps Facebook users will use the Graph Search solely as a Social Search engine to help sort through their Facebook data. It also depends on whether Facebook users will begin to share and” like” business, product or people pages more often. Google+ already has this service in place: you can already “plus” any webpage directly in Google SERPs. So far I haven’t found this service to be useful to me, as my Google+ friends aren’t recommending content regularly. I’m eager to see if people start to correlate their search results based on how much their friends share on Facebook. Will users begin to share and engage in more “likes” to help their friends find the information they are looking for? What demographics will start using these features more? Many questions come up when I think of the future and I’m enthusiastic to see how this will affect Social Media Marketing and the SEO industries.